HAPPY NEW YEAR! 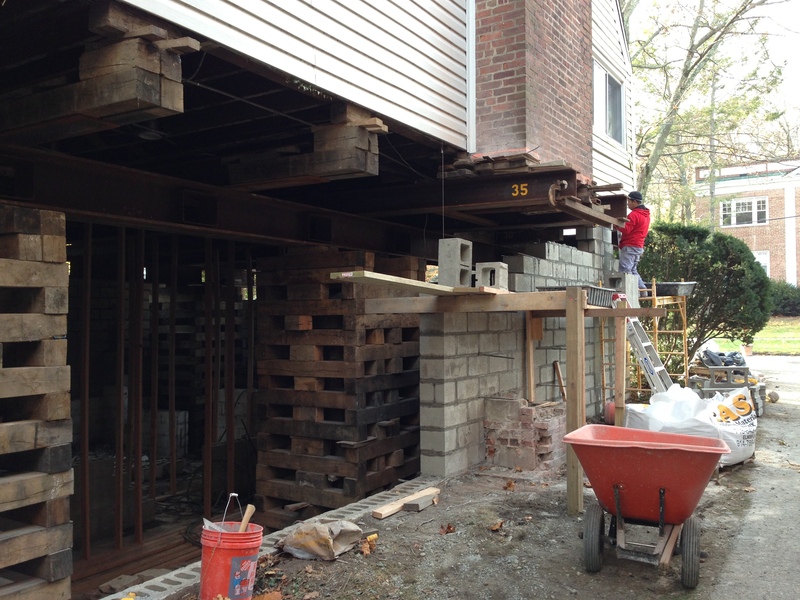 As the calendar turns over to reveal the start of a new year, 2014, we are still in the midst of our house elevation for flood mitigation project that began many moons ago. What’s left? Final inspections, certificate of occupancy, landscaping, driveway resurfacing, exterior painting and a few other odds and ends. Yesterday we saw new signs of movement with the granite beginning to pull away from the wall as well as the floor beginning to buckle in a new location. In the photo above you can see how the floor boards are tight on the right side and pulling apart on the left – again, brand new development as of yesterday. 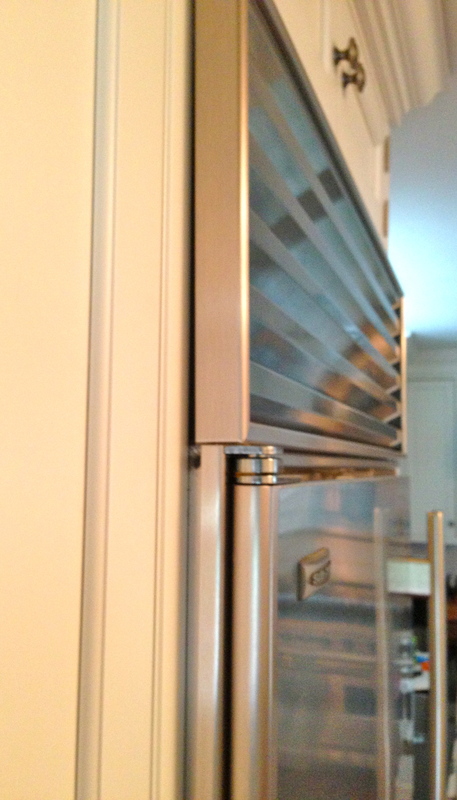 THEORIES: Two thoughts on what is perpetrating these new injuries to my kitchen. One: the house is simply settling into its new foundation and due to temperature changes and shifting weight from our boys running around the house, the house is in flux. 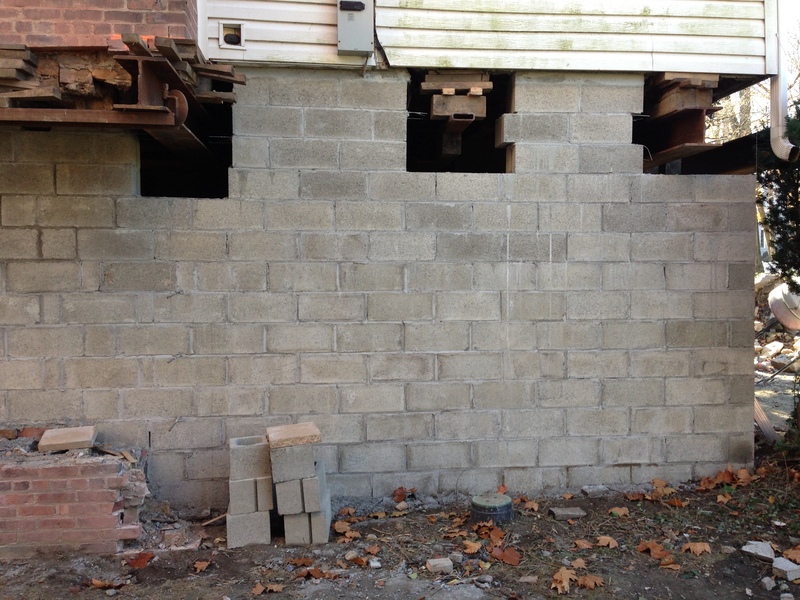 Two: Due to misplaced shims and missing shims (thin pieces of wood added to the foundation wall for the house to sit flush), the house is moving – and will continue to move – until the house is properly shimmed. I’M NOT A CONTRACTOR, BUT … It seems to me the only new problems are in the exact location where the shimming has been called into question. 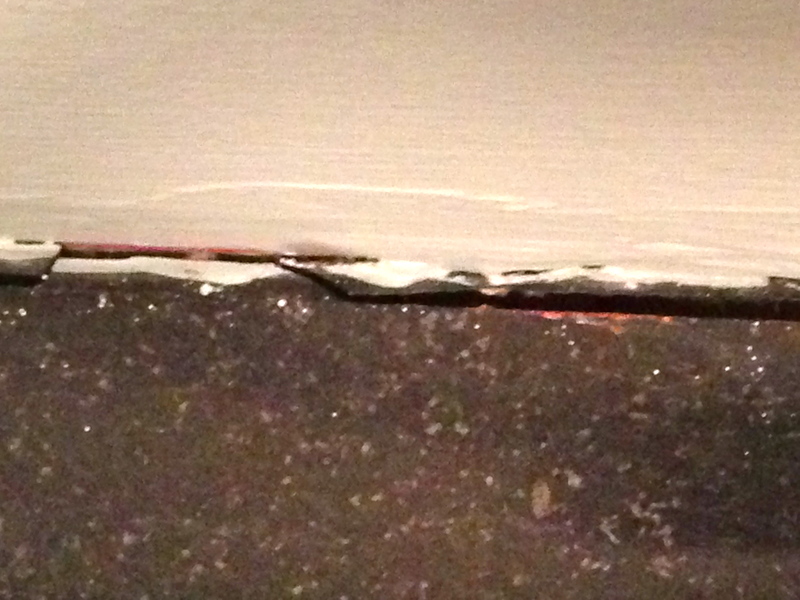 With a call into our contractor and a promise to investigate the issue, hopefully we can stave off any more problems. This entry was posted in Home Renovation, House Elevation and tagged flood, granite countertops, home improvement, house elevation, kitchen on January 6, 2014 by Robin Azer. WEEK 26: Oh me, oh my what a week it’s been preparing to move home again. 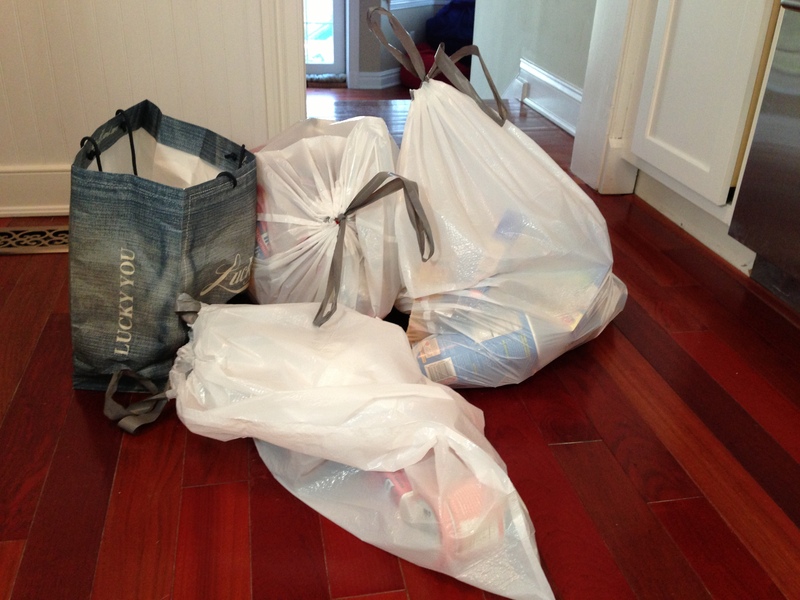 I can summarize the week’s main emphasis in one little word – cleaning. 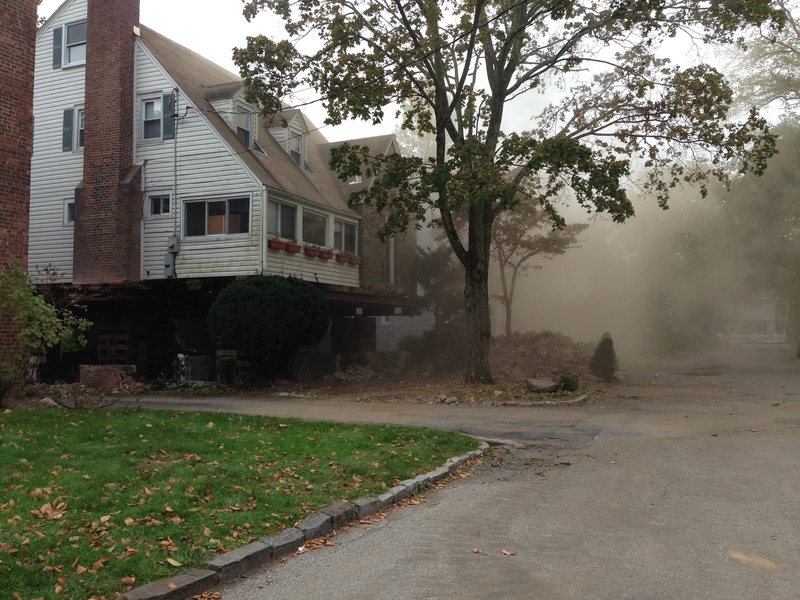 My goal was to rid the house of the ubiquitous remnants of dry-wall and construction dust. No small task considering that every cupboard on the first floor had to be emptied and throughly cleaned. Hauling out goods: One of the things I learned about living in a small apartment with a small kitchen is that I generally store WAY too much food in my kitchen: cans, boxes, packages, spices. I found some spices in my cupboard dating back to the George Bush era – and I don’t mean W. We haven’t lived here that long, I’ve just been throwing these items in moving boxes over the years and taking them with me, like that $5 bottle of bay leaves was some sort of precious metal. No more – I’ve decided to live lean and keep all food products in the 21st century. As my momentum picked up I starting tossing out anything I didn’t miss in the past six months of living away from home. It was a pretty impressive clearing. The cleaning project snowballed into several car loads of items being removed. I remember my grandparents’ house, attic and barn brimming with so much stuff they couldn’t tell you where or what they had stored away. Not here. Thanks to flooding and construction projects, every couple of years we unload heaps of belongings. Living lean – feels good. There’s no place like home for the holidays: You know what else feels good? Moving home in time for Christmas. This holiday season I’m just a bit more overwhelmed than usual, but at least I’m home. In a house that no longer floods. Let it snow, let it snow, let it snow! (or rain – I’m good either way). 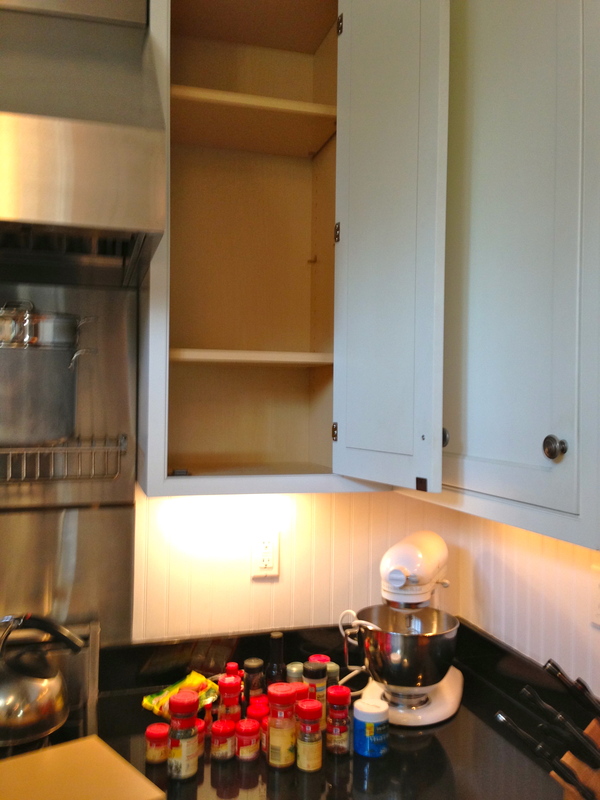 This entry was posted in Home Renovation, House Elevation and tagged cleaning house, home improvement, house elevation, moving, organizing on December 18, 2013 by Robin Azer. When you look a little closer, you can see some strings. It makes perfect sense that you would want to make certain the foundation was going to match up with the house. This technique was not utilized in our project and they had great difficulty matching up the pieces. Would it have mattered? Who knows. A spool of yarn could have come in handy is all I’m saying. 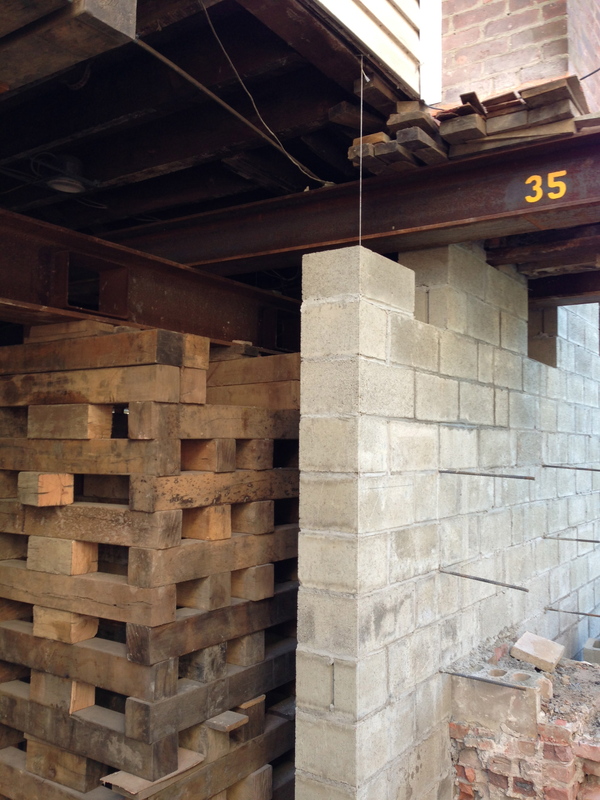 Although this technique makes it more challenging for the lifting company to remove the steel beams, logically if makes sense. When I asked my builder about this different technique, he said either way works. Ok – but I’m guessing one house will suffer more than the other. When a mega ton house is lowered, no matter how gingerly it is accomplished, there is bound to be some collateral damage. 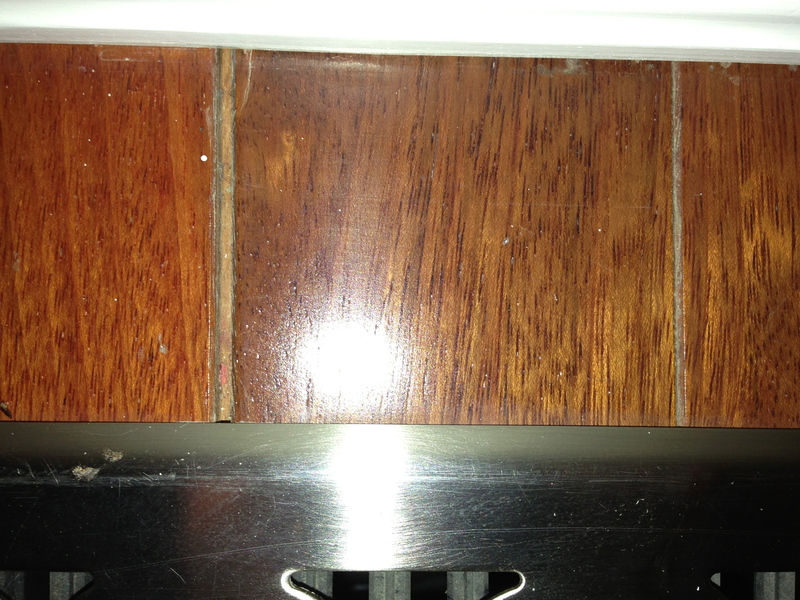 I don’t know the end result for this house, but our house suffered numerous cracks in the walls (minor) and a permanent slight shift in a bank of kitchen cabinets where a shim of wood was left in place atop the foundation while the house was being lowered. You know how to remove a block of wood stuck between a hefty house and it’s foundation? Neither does my builder. 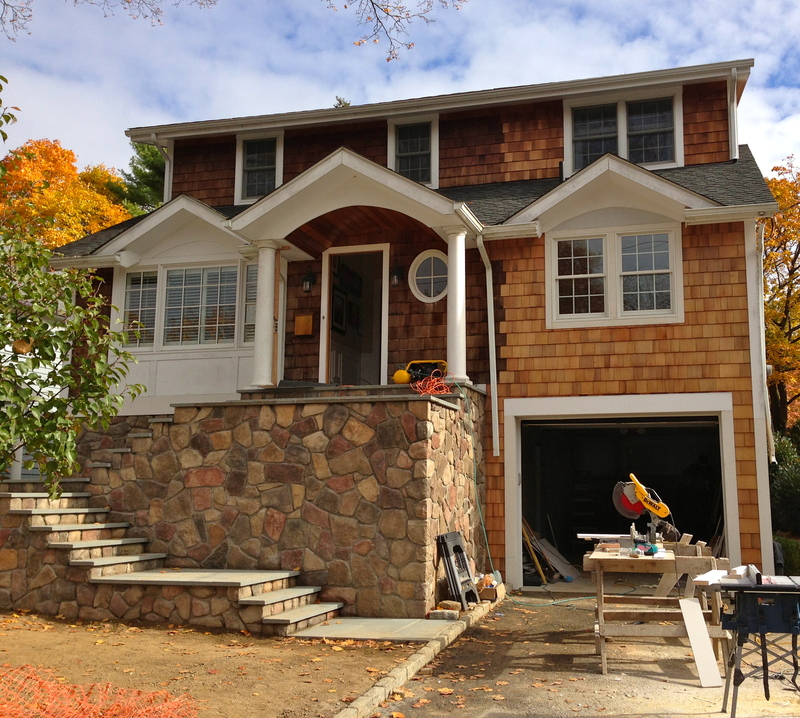 This entry was posted in Home Renovation, House Elevation and tagged elevation, flood, home improvement, renovation on December 12, 2013 by Robin Azer. 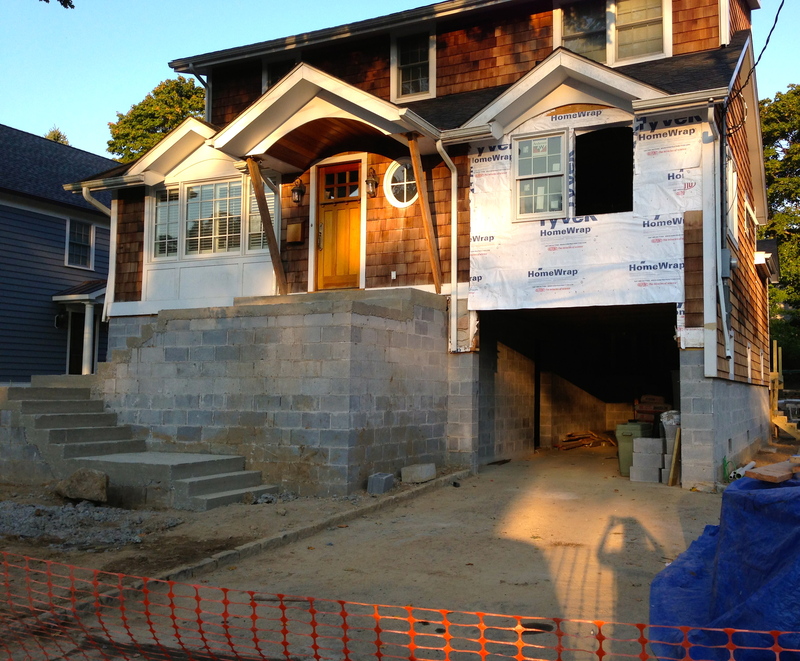 The front of the house is coming along this week. The staircase is complete except for the railing. The porch has had the columns placed this week as well. All the exterior trim work is done as well as the exterior faucets installed. We are still awaiting the leaders to be dropped for storm water run-off. You can see where the cedar shingle has been added and is still fresh. Over time it will blend and not longer be a drastic color distinction. 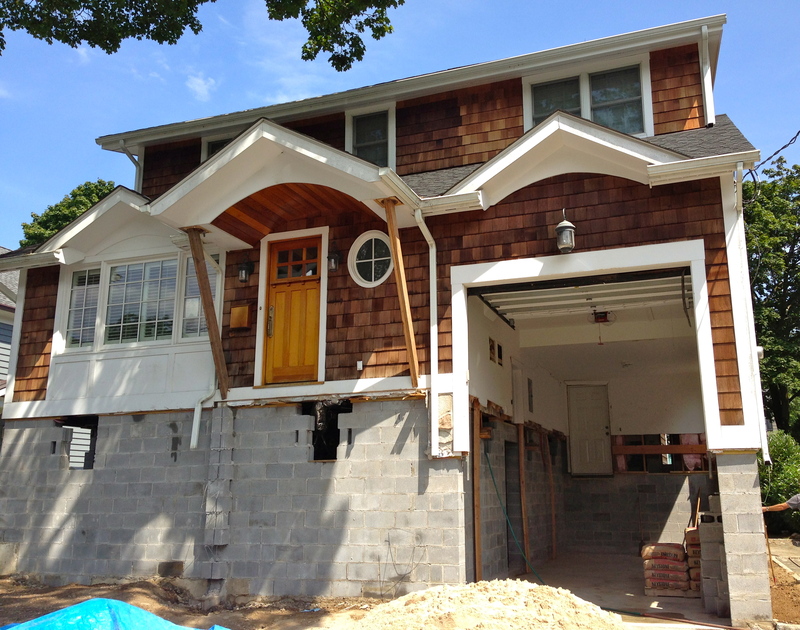 This entry was posted in Home Renovation, House Elevation and tagged flood, home improvement, house elevation on November 9, 2013 by Robin Azer. 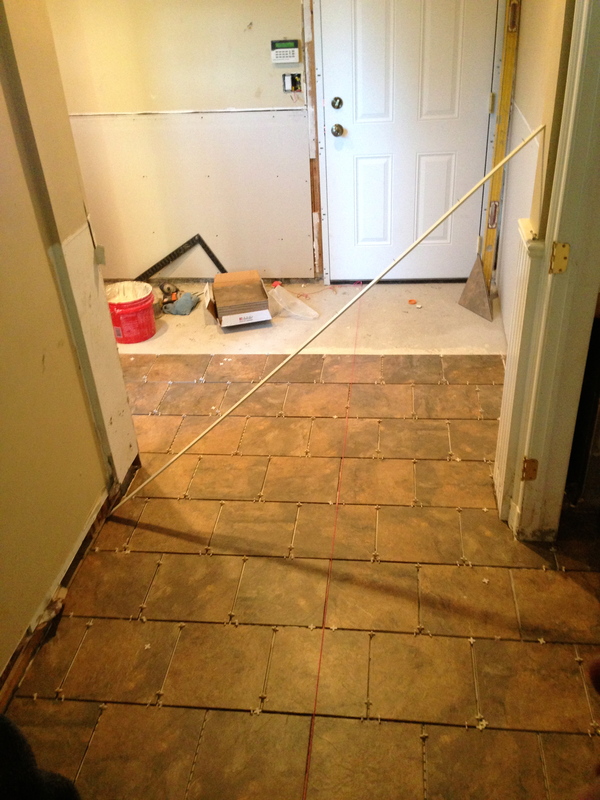 LAST WEEK OF OCTOBER: The tile was laid out and the sheet rock was installed this week. 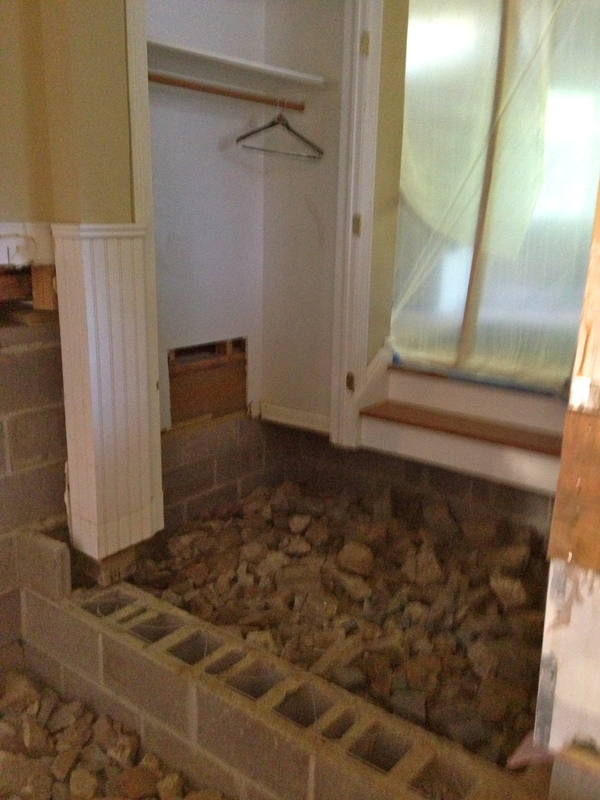 The tile will definitely serve the “mud” room well and hide what my boys will track inside. 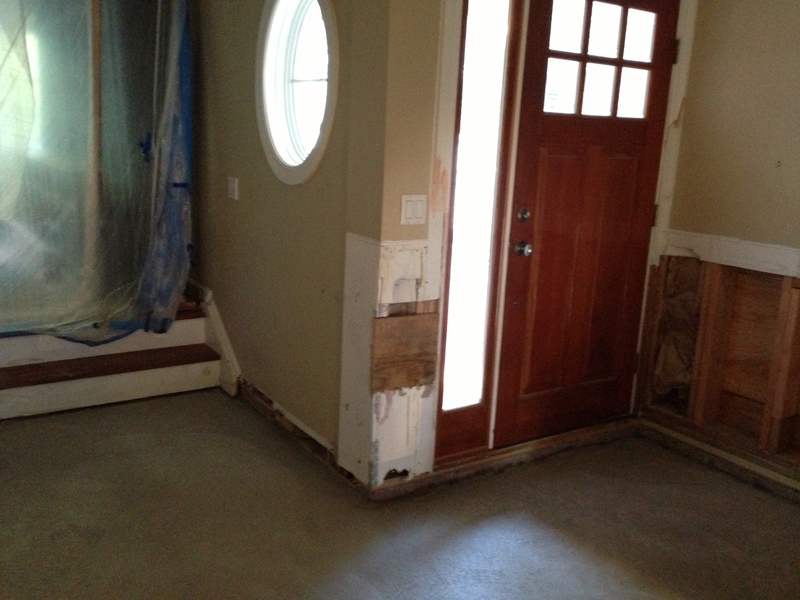 This entry was posted in Home Renovation, House Elevation and tagged flood recovery, home improvement, house elevation, mudroom, remodel on November 2, 2013 by Robin Azer. WEEK 20: Fresh on the heels of last week’s set-back, we’ve made some steady progress this week, albeit not nearly enough for my liking. The majority of the work effort has been restricted to the new front staircase. It’s great to see the transformation, but what I’d really like to see is a beehive of activity on my house. You know, like they show on TV where an extensive renovation takes 4 or 5 days on a shoestring budget. But, this is hard-core reality here, definitely not for those with weak inclinations. 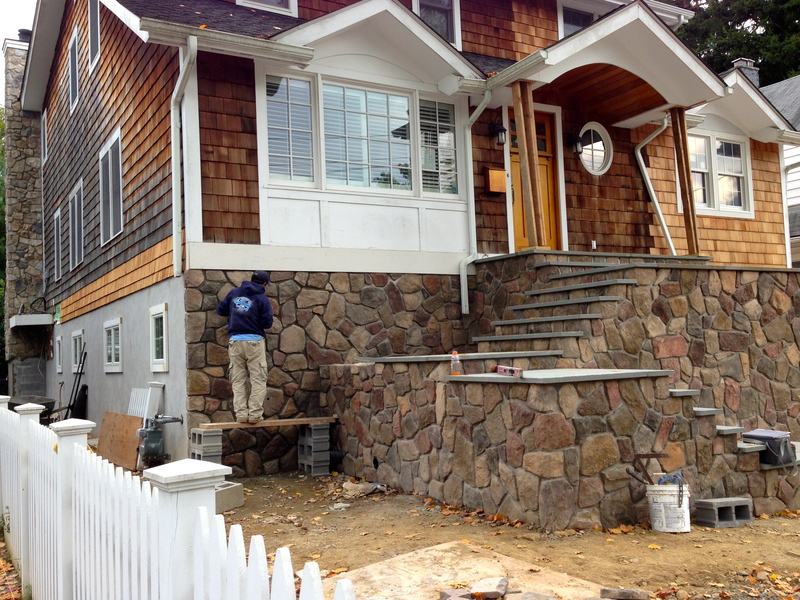 OCTOBER: Nearing the end of October, the stonework has been added to the front staircase. Missing, however, is any semblance of a railing. At this point we’re not sure whether we’ll go with wrought iron or natural wood. Likely which ever gets us back in the house sooner. The picture above also shows other key updates. The front left corner of the house show a new gas meter. That was a hard-earned element of the project and we’re happy to have it behind us. Also the new “basement” windows have been framed out and shingles have been added to this side of the house replacing a damaged white border. Sure beats what we were doing a year ago – riding out the effects of Superstorm Sandy. 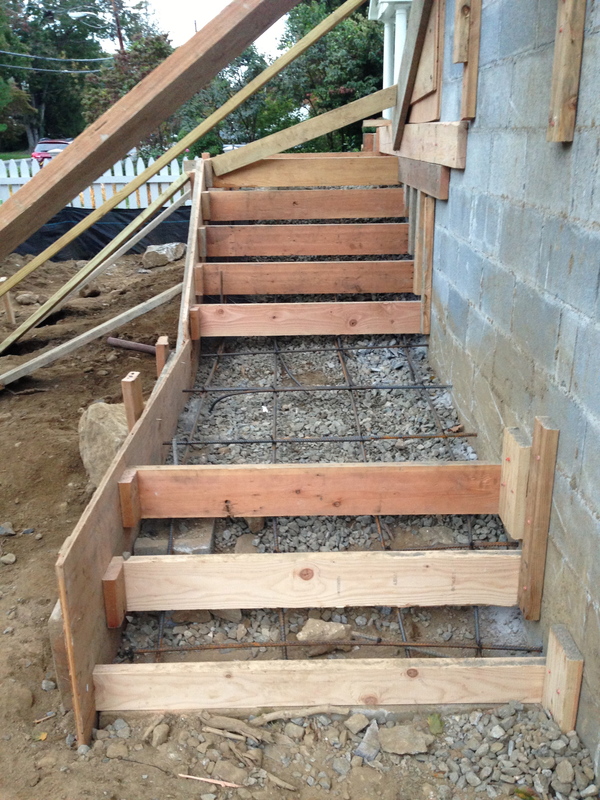 This entry was posted in Home Renovation, House Elevation and tagged flood, front steps, home improvement, house elevation, house renovation, staircase design on October 24, 2013 by Robin Azer. WEEK 19: Mired in a sea of inept, lazy, self-righteous pin-heads this week, things could be better. 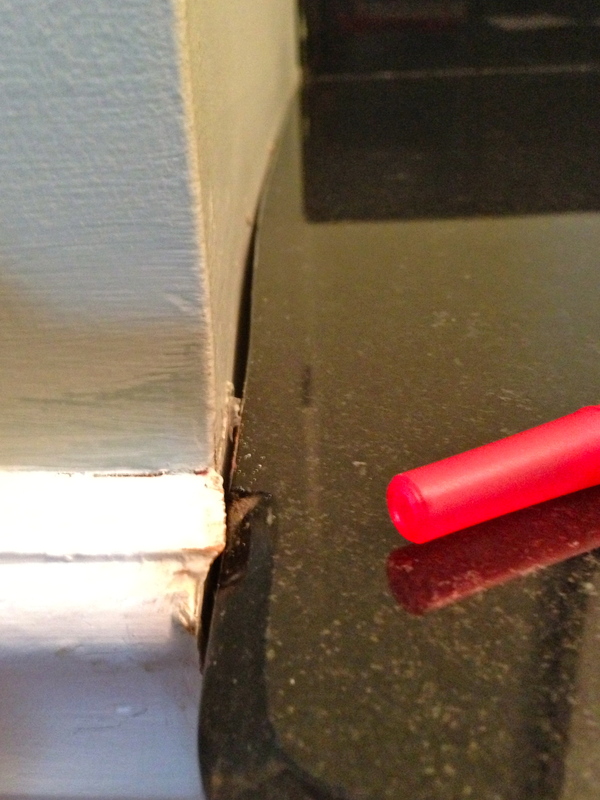 Sometimes life is bound to get a little dicey, particularly when undertaking a substantial home renovation. Allow me to elaborate. Steps in dispute: approved for two, but NOT three steps. 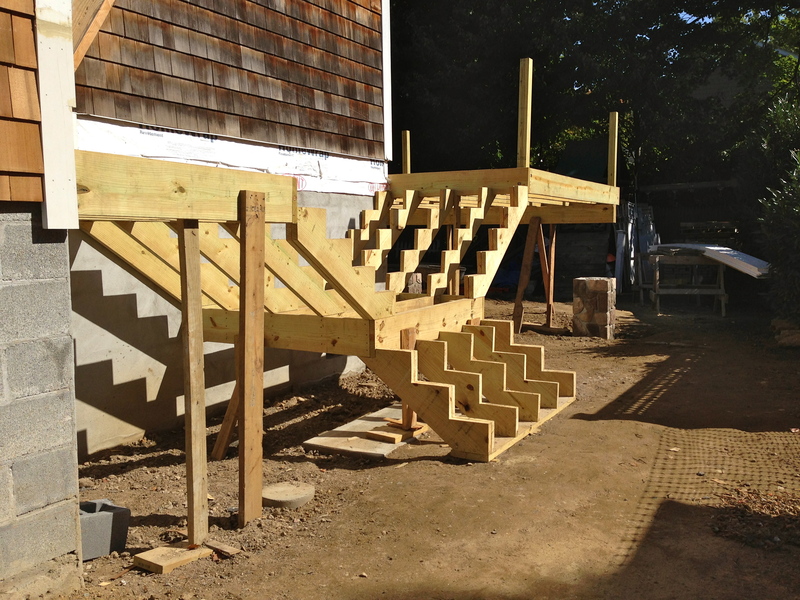 ONE FOR THE MONEY, TWO FOR THE SHOW: The stairs in question are already built. We have permission for two steps leading to the ground, but not three (as seen in the photo above). Any changes now will cost more money. The contractor was following the plans given to him. The plans which were spuriously stamped by the building inspector which riled up our neighbor which resulted in us attending a meeting last night where nothing was resolved. Merely trying to lift our house out of the flood path while helping our city improve it’s standing with FEMA (who issues flood insurance) has been on par with sustaining a flood event itself. It’s nothing but a low down dirty shame. 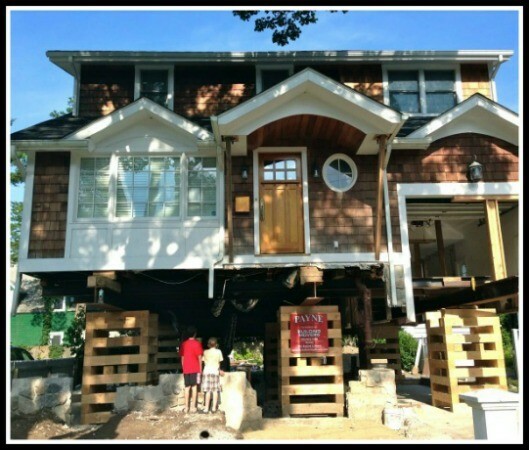 This entry was posted in Home Renovation, House Elevation and tagged flood, home elevation, home improvement, humor on October 18, 2013 by Robin Azer.